Where Roots And Wings Entwine: Unique outdoor wedding venues. Lee and I are engaged and have been for a little over three years now. After Lee romantically proposed to me we started discussing tying the knot, dreaming of how and where we would love to get married. But before any firm wedding plans were made, a little over a month after getting engaged we found out we were expecting Bug and decided to put getting married on hold and focus on our bundle of love instead. Recently we have renewed our desire to get married and as we hope to be husband and wife in the near future rather than waiting yet another three years, we have revived our wedding plans. As well as finding the perfect wedding dress, photographer, flowers, table centres, invites and decorations we have been considering a number of venues to find the perfect one for our magical day. Initially we wanted to get married abroad and have an intimate beach wedding and then a safari honeymoon in Africa we have decided to get married in the UK instead as there are so many amazing places here where we could get married and getting married in the UK would mean that our friends and family could be part of our big day. Even though I think traditional church/chapel weddings are beautiful, both Lee and I would love our big day to be at a unique outdoor wedding venue and have fallen in love with 5 stunning and unique wedding venues that offer outdoor weddings. Wentbridge House in Wentbridge, Yorkshire. Dating from 1700 Wentbridge House is steeped in history with century old trees surrounding the stunning Georgian house which is set in 20 acres of gardens and grounds in the village of Wentbridge in Yorkshire. Wentbridge House boasts 41 individually designed and decorated bedrooms, a 2 AA rosette fine dining restaurant called Fleur de Lys, a stylish and contemporary brassiere and elegant function rooms that can cater for up to 130 guests. Not only is Wentbridge House a 4* luxury hotel, it is also a luxurious wedding venue. 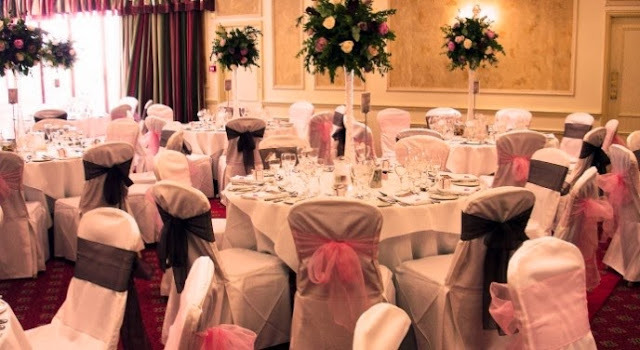 Wentbridge House has beautiful event rooms for your big day, for an intimate wedding the beautiful Tudor Room caters for a maximum of 24 guests and for a larger wedding the stunning Crystal Suite can hold up to 130 guests. 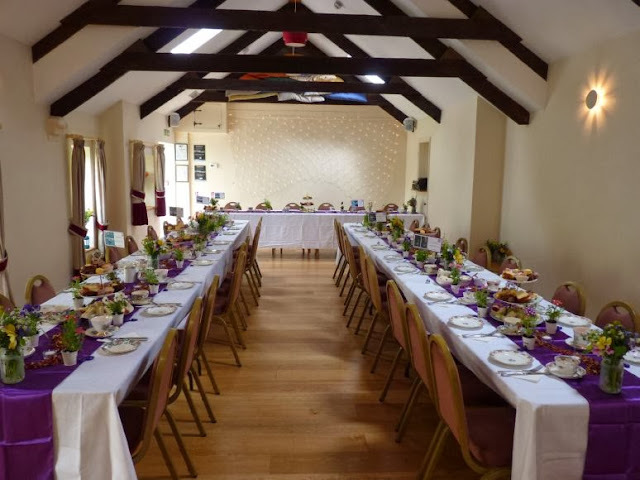 For couples who would prefer a traditional wedding they can have their wedding ceremony in the beautiful Wentbridge Church and then have the wedding reception in Wentbridge House. 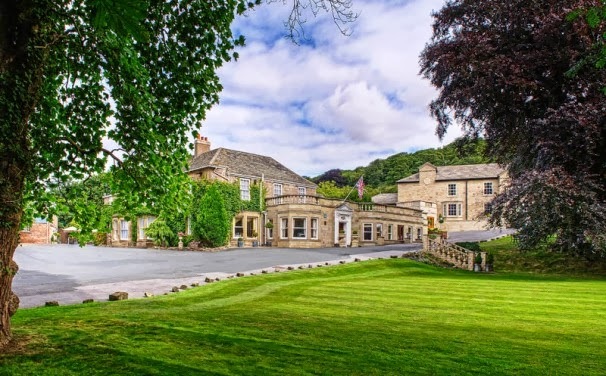 Couples can also choose to have their wedding ceremony outdoors as Wentbridge House is an outdoor wedding venue in Yorkshire, being one of the very few licensed venues in Yorkshire that host outdoor weddings. 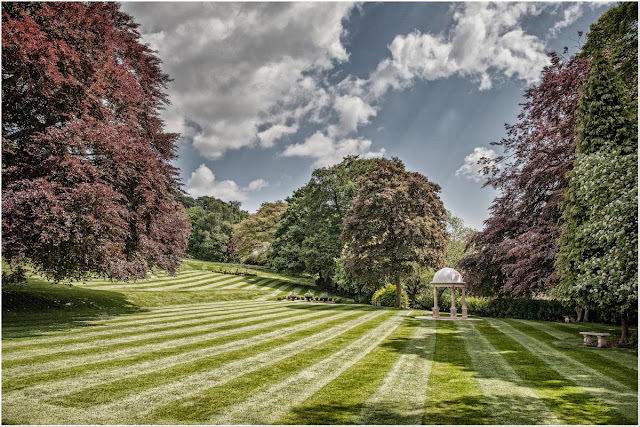 In the gorgeous surroundings of Wentbridge House’s gardens and in the shadow of its beautiful Beech Tree, Wentbridge House have a unique Garden Folly which is licensed for marriages. 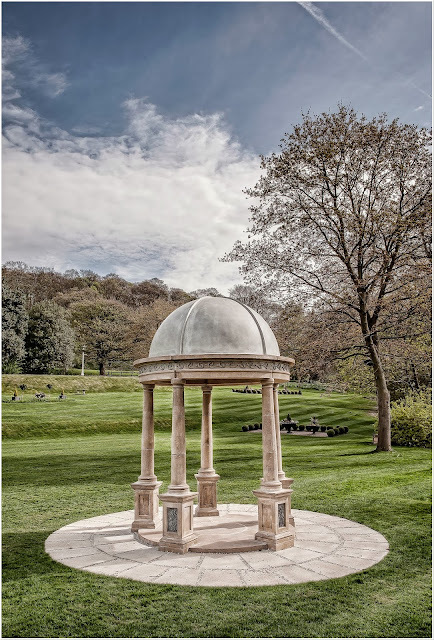 Wentbridge House's Garden Folly is ideal for small, intimate and larger outdoor ceremonies with seating available for up to 130 guests where guests to watch your ceremony at the Garden Folly from the beautifully tamed lawns. The Garden Folly can be made even more unique by being beautifully dressed with flowers to match your colour scheme. 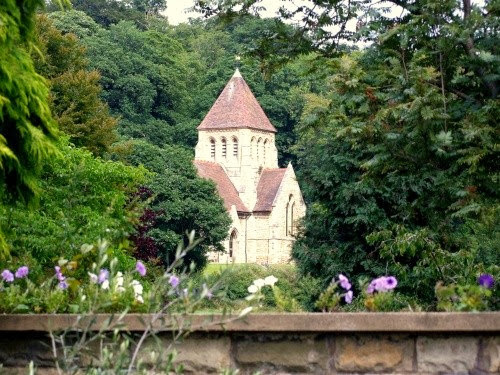 The Wentbridge Garden Folly is a unique feature at Wentbridge House and the perfect romantic setting for a beautiful, picturesque outdoor wedding in breath-taking surrounding. 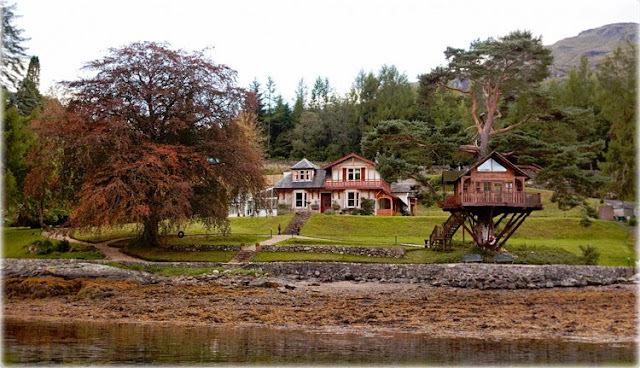 The Lodge in Loch Goil, Scotland. 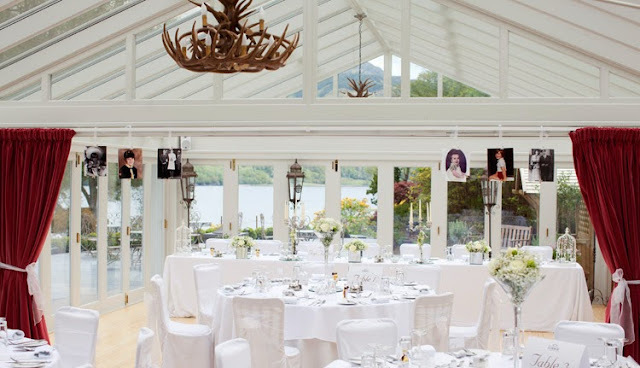 Built in 1864 and located between the shores of Loch Goil and majestic mountains, The Lodge is an intimate luxury wedding venue in Scotland. Memorable wedding days are held at the charming Lodge which caters for every bride’s desires from simple and intimate weddings to lavish and glamorous weddings. The Lodge’s resident wedding coordinator ensures the couple’s special day is tailored to their wishes as they are wed in a beautiful first class luxurious venue. The resident wedding coordinator can arrange an array of bespoke details to help make your day extra special including organizing bespoke arrangements, exquisite decorations, the entertainment, the perfect wedding cake, floral arrangements, accommodation for guests not staying at The Lodge and a sumptuous wedding feast. The Lodge has two luxury site locations for wedding ceremonies, The Victorian Dining Room and The Tree House. The Victorian Dining Room with its opulent furnishing and décor is a luxurious 5* setting for wedding parties of up to 50 guests. The Tree House is one of the world’s only licensed tree house for weddings. 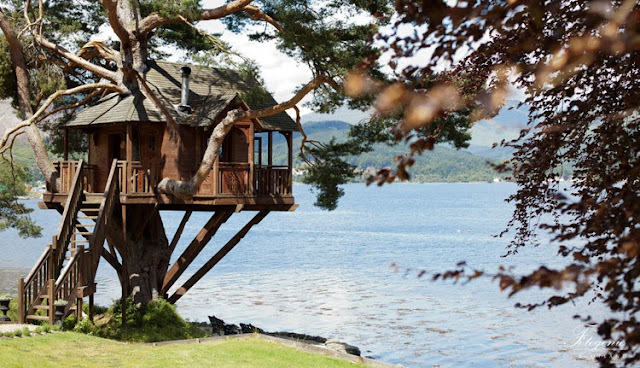 The Tree House which overlooks the waters of Loch Goil is a beautiful romantic setting for intimate ceremonies of up to 24 guests. The unique Tree House with stunning scenery as its backdrop makes for a very romantic, quaint and enchanting wedding. Following the ceremony the reception and wedding feast can be held in either the elegant Victorian Dining Room or in the beautiful Conservatory. Unforgettable special wedding days can come to a magical end with newlyweds retreating to The Lodge’s Summerhouse for the ultimate honeymoon wedding night. 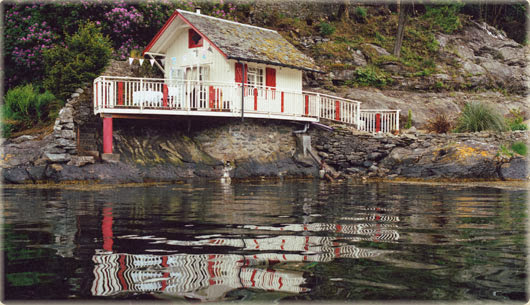 The Summerhouse, a secluded self-contained cottage on the shores of Loch Goil and intimately hidden away at the bottom of The Lodge’s landscaped garden is the perfect peaceful hide-away for couple to start their new life together. Welsh Green Weddings, West Wales. 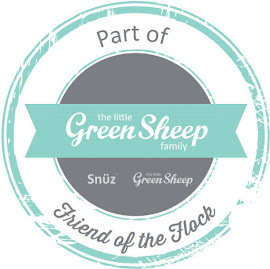 Located on a small organic farm in Carmarthenshire in a quaint and rural area, Welsh Green Weddings host magical, unique weddings. The Old Dairy on the organic farm is licensed for ceremonies and can accommodate 76 people, including the bride, groom and two registrars. The Old Dairy is a light and airy space with beautiful exposed beams, oak floor with under floor heating and a stained glass window. For small weddings of up to 50 people the reception can be held in the Old Dairy whilst the reception for larger weddings takes place in the beautiful giant tipi, where up to 120 guests can help celebrate the couple’s special day with the wedding feast. 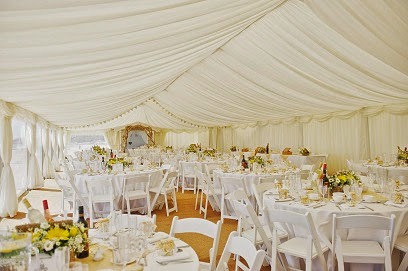 From 2014 Welsh Green Weddings will have a new Gazebo for outdoor weddings in the Walled Garden which will be able to accommodate up to 120 people. Weddings held at Welsh Green Weddings include the bridal party’s exclusive use of the farm accommodation; the accommodation includes Ceridwen which sleeps 19 people in bedrooms and 6 people in futons, the Byre bedrooms which sleeps 7 people, 3 Handmade Yurts which sleep 2/3 people each, the Farmhouse B&B which sleeps 8 people and the Romantic Gypsy Wagon. 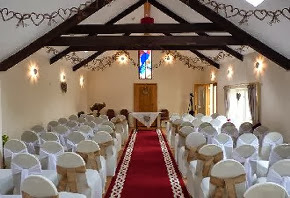 To help make your special day unique Welsh Green Weddings have a number of bespoke wedding facilities available. 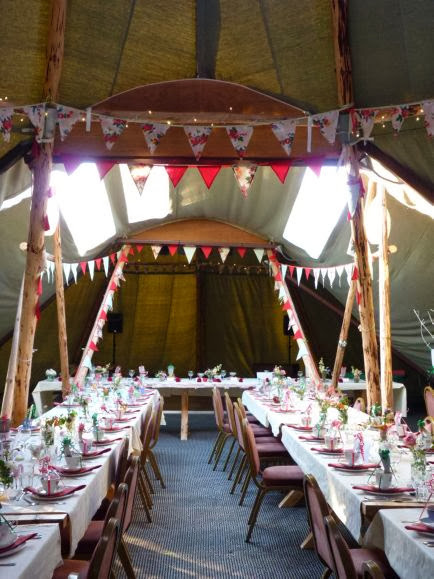 The Old Dairy can be decorated with an optional red carpet with Celtic knot pattern, chair covers and ribbons and rustic wooden trestle tables available for the Tipi are locally made. 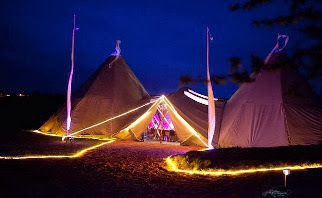 A separate small 16ft Tipi is also available with straw bale seating inside for a relaxed area to use during the evening reception. 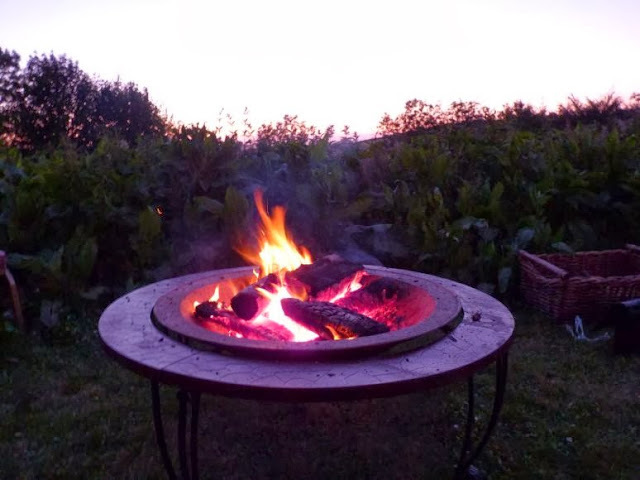 Other extras available include bunting, blackboards for signs and seating plans, outdoor games, Balinese Prayer Flags, Swedish Fire Sticks and Kadai Fire Pits. For a quirky and fun ‘green’ extra Welsh Green Weddings have a Blendavenda, a bicycle powered smoothie and cocktail maker, available for hire. Adding a touch of up-cycled chic to weddings there are pretty jam-jars available for flowers and tealights, with eco-friendly soy rose-scented tealights also available. Adding a hint of prettiness mis-matched 3 tier cake stands and retro mis-matched china are also available. 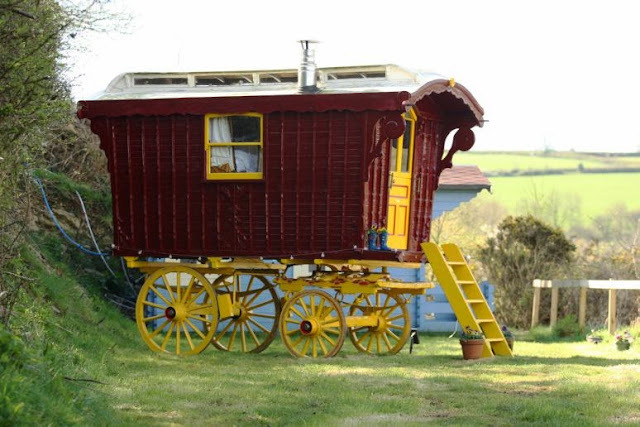 Unique wedding day transport is also available thanks to Welsh Green Wedding’s horse drawn waggonette. 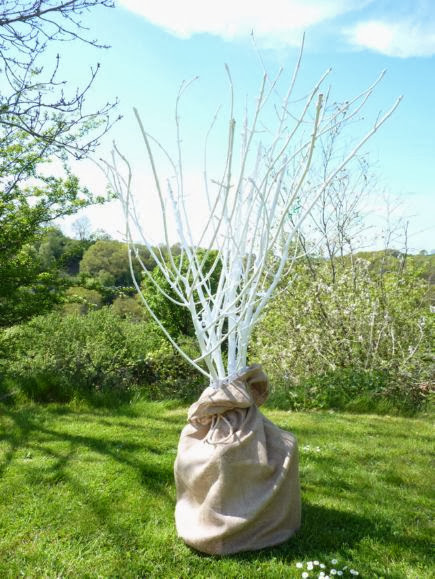 A green symbol of the special day can also be made with the couple planting a Welsh organic fruit tree in Welsh Green Wedding’s small orchard. Beach Weddings Bournemouth offer couples the unique opportunity to get married on Bournemouth Beach. Thanks to Beach Weddings Bournemouth it is the first time in England and Wales that a couple can have their legal wedding on the beach. Beach Weddings Bournemouth’s unique weddings are stunning with the natural beauty of West Cliff beach being a magnificent wedding backdrop and a gorgeous location for wedding photographs. 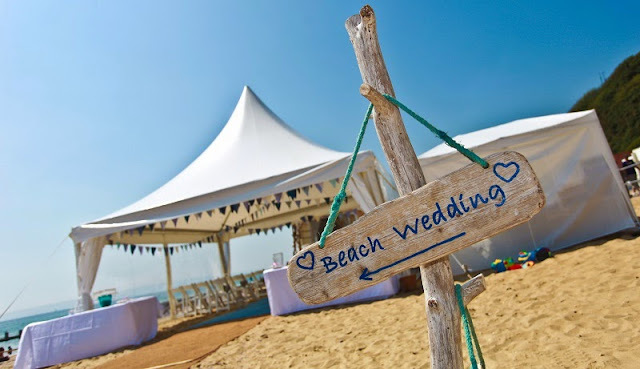 Beach Wedding Bournemouth offer bespoke weddings, with the option of either a ceremony only gazebo wedding or a fully catered wedding on Bournemouth Beach. Both small, intimate ceremonies and larger ceremonies can be catered for, with the option of up to 400 guests for a ceremony and 200 guests for a seated wedding breakfast available. Beach Wedding Bournemouth’s venue licence permits the wedding ceremony, drinks reception and wedding breakfast and the wedding crew can assist couples with finding the perfect evening reception venue from one of their evening reception partners within walking distance. Helping couples bring their dream wedding day to life Beach Weddings Bournemouth’s wedding crew tailor and personalise the special day to the couples desires, tastes and budget from flowers, styling and décor to catering, music and entertainment. 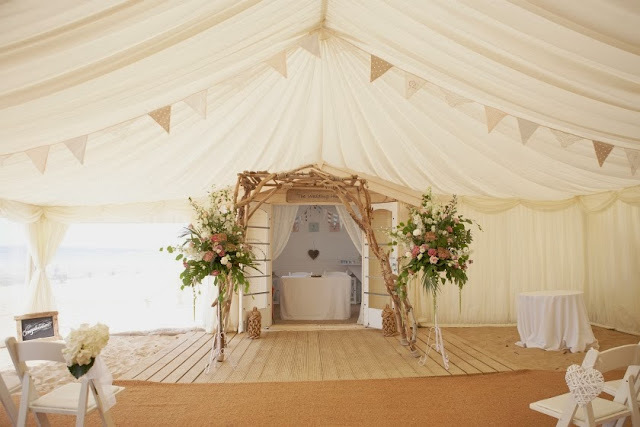 Beach Weddings Bournemouth use local coastal décor and reclaimed driftwood for styling and props and have a locally made driftwood wedding arch on the decking for couples to get married under. For entertainment and to bring the spirit of the seaside alive during the wedding celebrations beach games, buckets and spades are available. 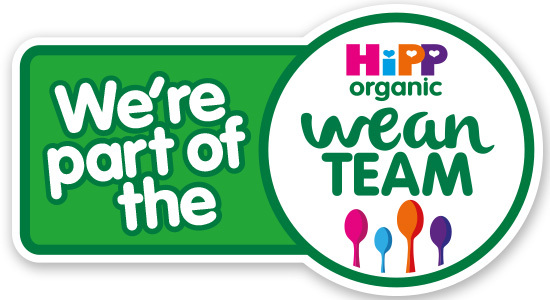 A range of food options are available with local produce used, options include canapés for the drinks receptions, homemade afternoon tea, beach BBQ’s, buffets with local fish and meats and freshly cooked fish and chips. 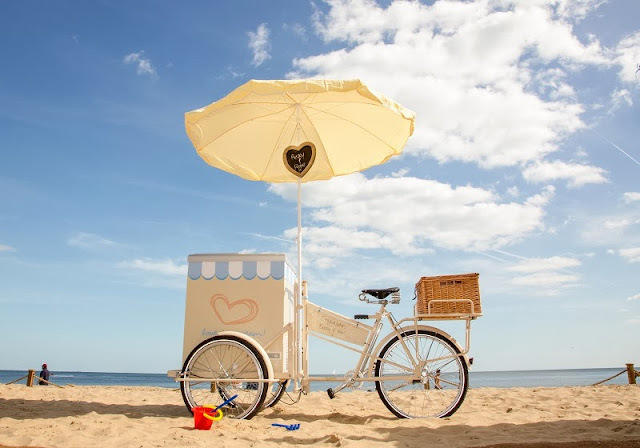 Perfect for the being at the seaside there is also the quirky option of hiring a traditional ice cream trike for guests to be served delicious Purbeck Ice Cream. Carnglaze Caverns in Cornwall, England. Carnglaze Caverns in Cornwall offer a number of unique locations where couples can get married. The Vine Conservatory at Carnglaze Caverns is a romantic wedding setting with spectacular terraced gardens and a naturally beautiful valley providing a gorgeous backdrop to the ceremony of up to 27 guests. 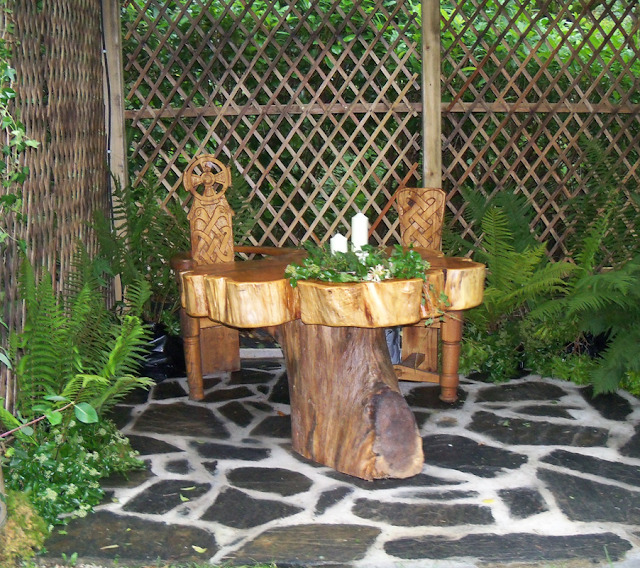 The Enchanted Dell is a faery tale wedding setting for up to 50 guests. The magical dell is set in ancient woodland and located near an underground lake. The dell is garnished with faeries and the idyllic and natural setting makes for a magically serene wedding. The Rum Store with a licensed bar is licensed for up to 400 guests and has one of the longest aisles in Cornwall, described as an Aisle of Dreams. 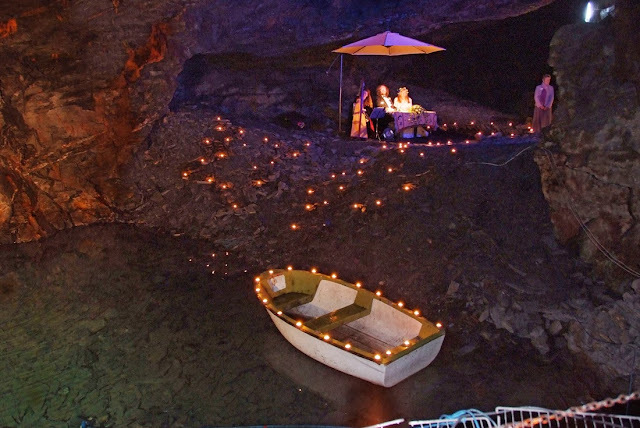 The Subterranean Lake at Carnglaze Caverns is licensed for up to 35 guests. The underground lake lit with candles makes for a hauntingly serene and romantic setting where couples can exchange their vows. With so many stunningly beautiful and unique wedding venues with an outdoor element available that we love all we have to do now is save up for our own special day and make the difficult decision of what location to choose, set the date and have a magical wedding to celebrate our love for each other. The hall we booked had the maximum capacity of about 150 people. Having a limit like that has its pros and cons, but more pros. 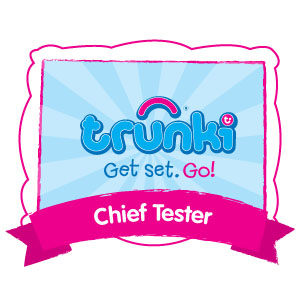 It definitely helps keep the guest list on check!